The house mouse is the source of almost all genetic variation in laboratory mice; its genome was sequenced before that of humans and it has become the model for mammalian speciation. Featuring contributions from leaders in the field, Evolution of the House Mouse provides the evolutionary context necessary to interpret these patterns and processes in the age of genomics. The topics reviewed include mouse phylogeny, phylogeography, origins of commensalism, adaptation and dynamics of secondary contacts between subspecies. Explorations of mouse behaviour cover the nature of chemical and ultrasonic signalling, recognition and social environment. The importance of the mouse as an evolutionary model is highlighted in reviews of the first described example of meiotic drive (t-haplotype) and the first identified mammalian speciation gene (Prdm9). 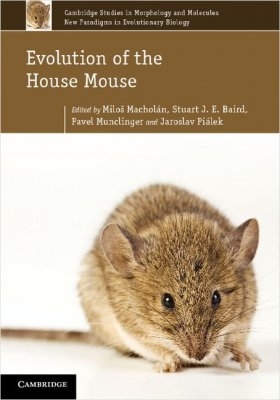 This detailed overview of house mouse evolution is a valuable resource for researchers of mouse biology as well as those interested in mouse genetics, evolutionary biology, behaviour, parasitology and archaeozoology.